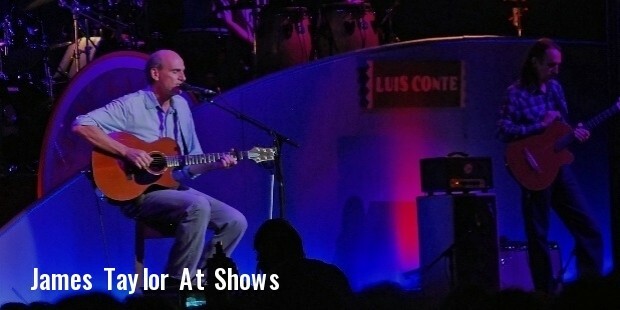 James Taylor a soulful singer, lyricist and musician. He has won accolades for his classy music. His life has been one roller coaster ride with fame, down in the dumps and rejuvenation from the clutches of death. His music is an amalgam of country folk, rock in roll and contemporary rock which leaves his fans asking for more. 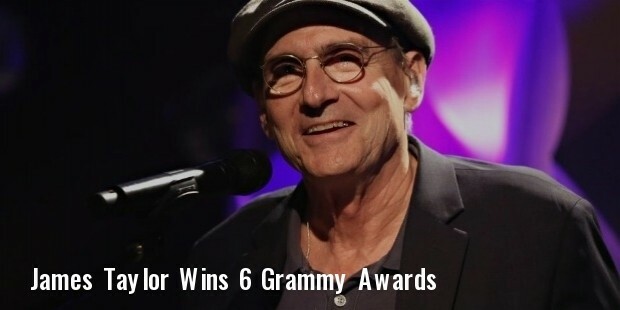 James Taylor was born in Boston, Massachusetts on March 12, 1948. His father, Isaac. M. Taylor was a doctor and his mother Gertrude Woodarda was an aspiring opera singer in her spinster days. James was the second of the five siblings. Initially he tried his hand at playing the cello and later switched to the guitar. Together with his teenage friend Daniel Kortchmar made great music at Martha’s Vineyard. James early career started at Mc Lean Psychiatric Hospital in Belmont, Massachusetts where he was been treated for depression. It was here he wrote songs which he played later in Kortchmar’s band ‘Flying Machine’ in New York. The band fell out due to James’ addiction to heroin. 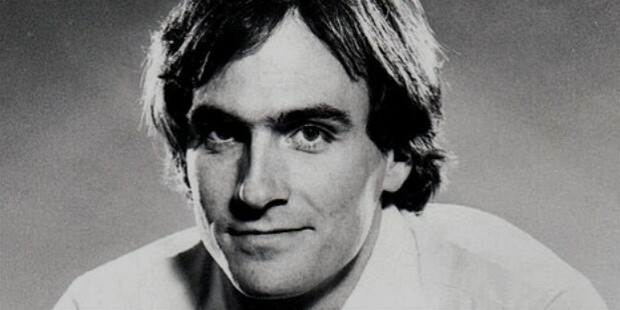 James recorded his solo album in London and was signed in by Paul McCartney and Peter Asher for the Beatles’ Apple Records. His addiction was still too strong which forced him to turn himself into a rehab in America. His career escalated with the Newport Folk Festival on July 20 1969. Later in the same year he signed a deal with the Warner Bros. Records. 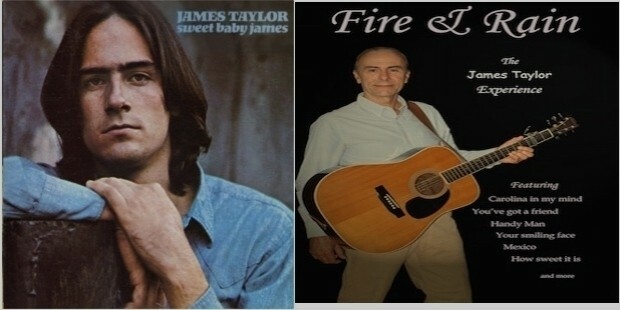 Taylor’s next album ‘Sweet Baby James’ and ‘Fire and Rain’ won him No 3 place in the Billboard Charts. His talent was show cased to the general public. Taylor was awarded his first Grammy Award for his pop performance “You’ve Got a Friend”. In 1977 he signed with Columbia records and cut a new album under the label JT. Taylor won the hearts of his critics who were amazed at the freshness in his performance. Taylor’s first marriage was to his close associate, song writer Carly Simon, with her he had two children Ben and Sally. His happiness as a married man was cut short when Carly decided to end the marriage; it was then that Taylor gave up his addiction to drugs to be a good father to his children. He married for the second time to actress Kathryn Walker in New York and the third time to Caroline Smedvig and has twin boys Henry and Rufus. Known for his close political connections to the Clintons and Baracks, Taylor has performed at many charity concerts including fund raising for the Boston Marathon Bombing. In his song “That’s Why I’m Here” Taylor explains his journey through his difficult times and fame. Taylor was awarded Grammy Awards for his work in various categories for six times in his music career. He was also inducted to the Hall of Fame for Rock and Roll, Songwriters and Hit Parade. He also received George and Ira Gershwin Award for Lifetime Musical Achievement. A National medal for Arts was presented to Taylor in 2011. 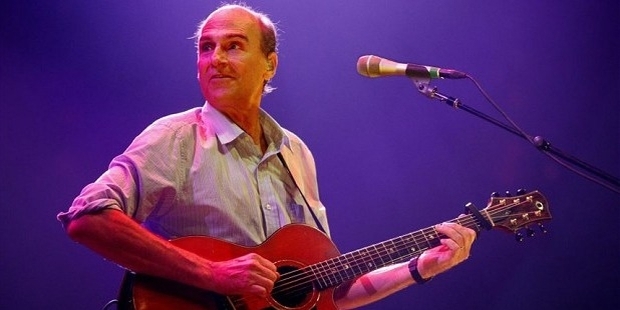 James Taylor presently enjoys an active life still making music to help people all over the world to embark on a inward journey, to find themselves in this chaotic world. As he rightly says” The secret of life is enjoying the passage of time”.